Tribute to Mahatma Gandhi and Rev. Martin Luther King, Jr.
To many of us, it seems that the principles upon which our country was founded are in short supply these days. What can we do about it? Unless, like Mahatma Gandhi or Dr King, you plan to start a national movement for peace justice and equality, you can at least stand up and be counted! And next Monday night you have an opportunity to do just that! Next Monday night we honor the lives of M.K. Gandhi and Dr M.L. King in a public tribute that would be just the kind of occasion where people like you and I can come together. The tribute includes music, audio and video tracks, and readings from their speeches and writings. Paramhansa Yogananda stated that America and India represent the twin ideals of material and spiritual harmony (and their concomitant social ideals, justice and equality) so needed in our rapidly changing and growing world. He did not mean that India and America have perfected these ideals. 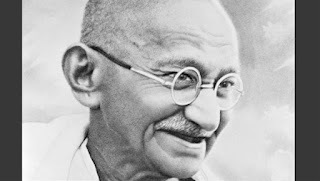 Instead, he meant that India and America have the karma to lead the way in demonstrating the importance of these ideals for the benefit, indeed survival, of all nations. For this was our nation founded; for this was born the likes of George Washington, Thomas Jefferson, John Adams, and Abraham Lincoln. For this, Mahatma Gandhi and Dr. King lived and died. 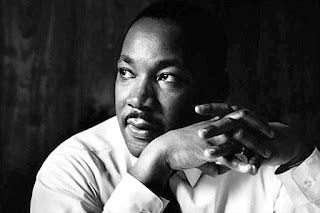 Dr King said that one who had nothing for which he was willing to die was not fit to live. An extreme statement, no doubt, and obviously not the karmic destiny for most individuals. But certainly, next Monday night is an occasion for us but to be together. You will be energized and inspired by the experience. As the years go by, fewer and fewer people have lived through the turbulent years of the civil rights movement in America. The message of Gandhi and King is, more than ever, relevant to the challenges of our times. Come and show your support for social change through nonviolent means and inspired by universal, spiritual ideals.